I am not an amazing motorcyclist, I watch enough racing to know what an amazing rider looks like. I make mistakes all the time. In fact up until recently I might have considered myself a below average rider. A couple of things in the past few years have changed my opinion on this, the first is that I helped a few people get into riding motorcycles (recently my brother) and I realized how hard it is in the beginning. It’s been a long time and I’ve forgotten how much there is to learn in the first several thousand miles. The second is that I went on a ride with my friend from NYC to Laguna Seca and he remarked how much faster I was than him. I dismissed this at first, but we spoke about the things he was still thinking about as he rode the motorcycle and I realized that so many of them were things I did with out analyzing them anymore. Despite this realization that I am no longer a novice rider, and in fact after nine years and over 100k miles possibly an experienced rider that I try and remind myself everyday that I can be better, and that I still have things to learn. My goal is to try and learn something everyday, sometimes this means picking a skill and working on it. Skills that I still need to work on quite a bit are peripheral vision, cornering, trail braking, vanishing point etc. I try to think about all of these things every time I ride. But it’s best to maybe pick one a week and try and work on that every day for a week or two. 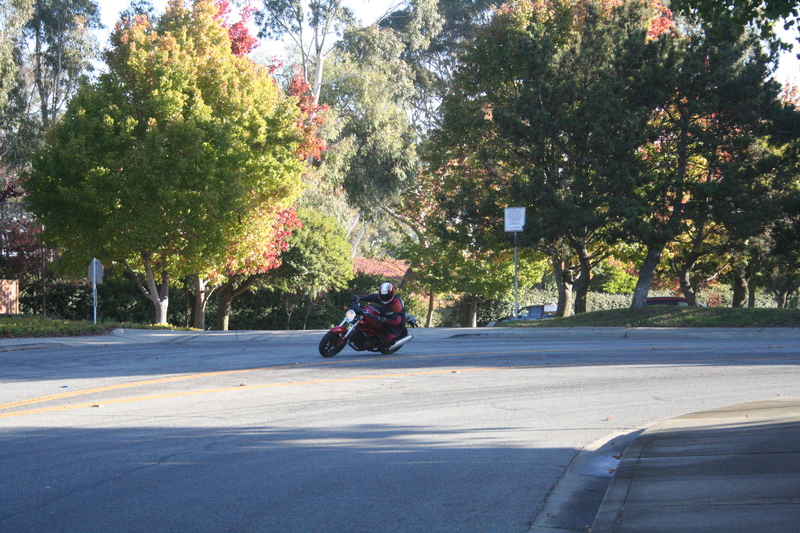 Then move on to the next, but I do think that every day we should try to become the best motorcyclist you can be. Your life could depend on it. One of my goals once I’m done getting my brother up to speed (and I have no idea how long that might be) is to talk about how I’ve been working on these and if I’ve noticed any improvement. The main thing I want to do is not get complacent, or too confident. This potentially leads to more risks taken and the unfortunate consequences if those risks lead to crashing. Making 30mph look as fast as possible. This entry was posted in Life, Motocycling, Riding and tagged moto, riding skills. Bookmark the permalink. Always looking on ways to improve, another quality of a good rider. The fact you are aware you can still learn puts you miles ahead of many riders. You’ll never bowl a perfect “300” in motorcycling!